St. Martin's Griffin, 9780312332693, 256pp. "Baby, the first thing I need to know from you is do you believe I killed my father?" So begins Upstate, a powerful story told through letters between seventeen-year-old Antonio and his sixteen-year-old girlfriend, Natasha, set in the 1990's in New York. Antonio and Natasha's world is turned upside down, and their young love is put to the test, when Antonio finds himself in jail, accused of a shocking crime. Antonio fights to stay alive on the inside, while on the outside, Natasha faces choices that will change her life. Over the course of a decade, they share a desperate correspondence. Often, they have only each other to turn to as life takes them down separate paths and leaves them wondering if they will ever find their way back together. 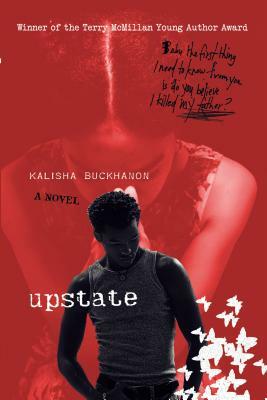 Kalisha Buckhanon’s first novel, Upstate, won an American Library Association Alex Award and was nominated for the Hurston/Wright Foundation Legacy Award in Debut Fiction. Terry McMillan selected her to receive the first Terry McMillan Young Author Award in 2006. A recipient of a 2001 Illinois Arts Council Artist Fellowship and an Andrew Mellon Fellow, Buckhanon frequently teaches writing and speaks throughout the country. She has a M.F.A. in creative writing from New School University in New York City, and both a B.A. and a M.A. in English language and literature from the University of Chicago. She was born in 1977 in Kankakee, Illinois.